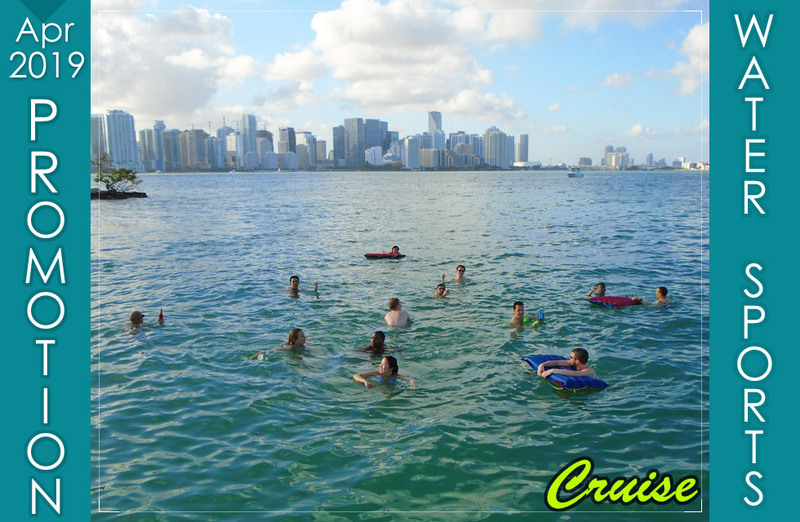 Miami by Boat - the best, affordable and safest private cruising experience around Miami. Captain Nick has been delighting friends, guests and celebrities since 1985. Join him & the crew on the vessel "Later". Charter the yacht for a spectacular, private, and exclusive Miami adventure with your family, friends or colleagues. 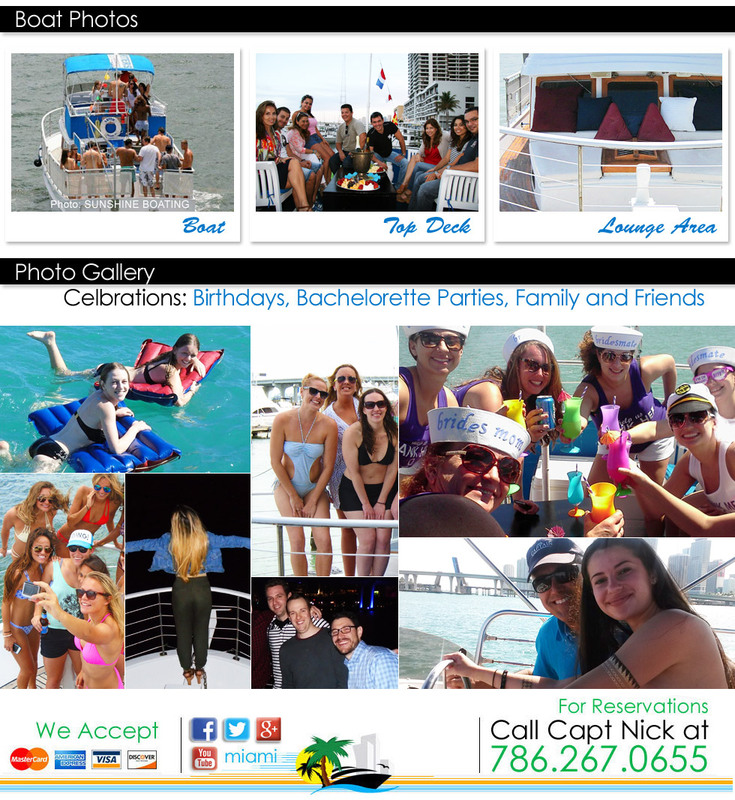 Our yachting experience is perfect for birthdays parties, corporate events, bachelorette parties, holiday celebrations, or romantic dinner cruises. Capt Nick's Miami Charters offers exciting private yacht charter getaways like no other. Perfect for groups of 12+ passengers (up to 20 passengers), coast guard certified. Plan your boat party with us! 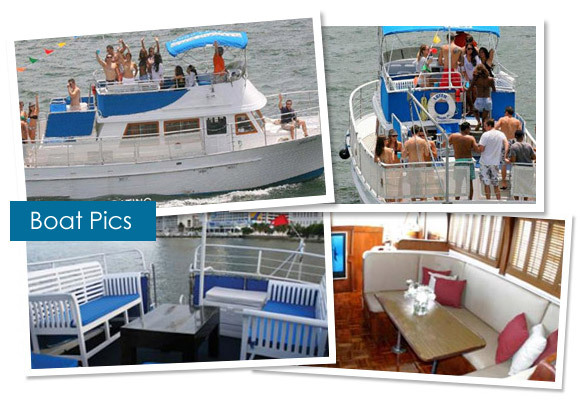 Experience best and very affordable Miami private cruises and charters aboard Capt Nick's Miami Charters. 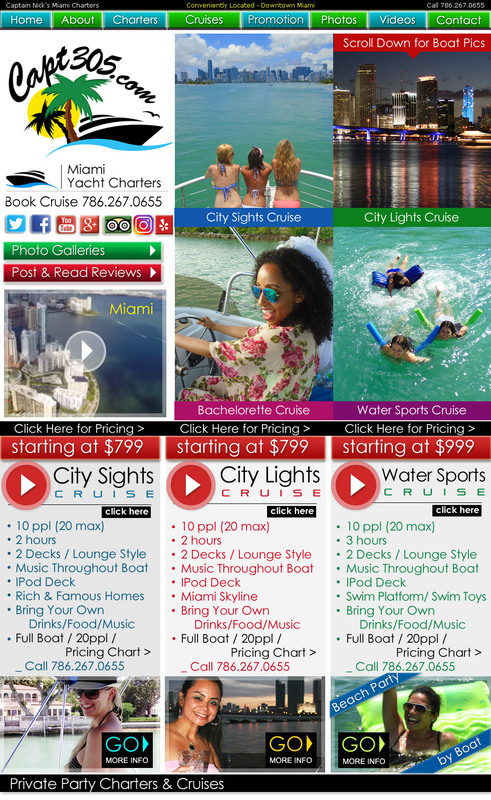 Your customized narrated and catered Miami party charter awaits you. Let your cares float away as you relax on a beautiful Capt Nick's Miami Charter private yacht cruise. Visit our Photo Gallery Page and Multimedia/Videos Page. Copyright: © 2011-2016 captnicksmiamicharters.com. All rights reserved.